A lot of people think that there’s a magic wand the tech geeks wave for a complete hard drive data recovery of your files. Because most people have no idea about how hard drives even work, they are usually not aware of the tedious and often time consuming work involved in getting a complete hard drive fix. When the customer phones in with their hard drive problems, often, they assume that there is some kind of magic software program or machine that can recover every hard drive on the planet by a simple push of a button. This couldn’t be further from the truth. After your hard drive has failed mechanically, especially with a growing number of fly-by-night data recovery specialists and computer repair shops that offer this services, your best and safest bet would be to take it to a company that specializes only in recovery service. Not computer repair/virus removal/web design/web hosting – strictly data recovery and nothing else. When data is lost it is best not to panic and remain clear vision of what you need. Search engines will help you to find specialist in your town simply by typing in data recovery. Ottawa, ON has more than one professional firm that performs such services… Next step would be choosing the right place, so speak with the customer service reps or technicians, and generally shop around. Data recovery can end up being very expensive in certain cases, but jumping to conclusion that cheapest is best is also not a very vise choice. Usually the term “you get what you pay for” – goes hand in hand with the service providers. So if you hear quotes around $300 for recovery on a clicking or non-spinning hard drive, our recommendation would be to stay away. Amount of work that goes into recovery of these types of failures simply can not be justified as a $300 job. Once you have picked the company that you think is most reliable and delivered your drive to them for repair, there are a lot of things that go on behind the scenes that most people are not aware of. It’s not just a matter of hitting a button to start a drive recovery project. It takes a lot of work, skill, knowledge and specialized equipment, to be good at it! There are usually three main steps involved in getting a custom manual hard drive fix. Each of these steps can take from hours to days depending on severity of the drive’s failure. Drive Restoration – Most of the data recovery processes start with hard drive restoration. Hard drives become inaccessible due to several reasons. Firmware, electronics, or even mechanical components of the hard drive are prone to failure. With mechanical issues original damaged parts are replaced with new “donor” parts from the working hard drive. Many of these components are very small and require special coordination, skill and experience to do correctly. It sounds easier than it is. Firmware issues are addressed via firmware manipulation tools such as PC3000. Electrical issues require either repair of the printed circuit board aka PCB, or replacement of failed PCB with functional compatible board; however, replacement of the board requires adaptive data adaptation. The only way to gain access to user data is by making the drive work on its own again, and getting hard drive to a point where it can register. Disk Imaging – disk imaging is a vital step of the recovery process, that some data recovery companies seem to neglect. Even after hard drive is repaired, it is not vise to jump on 3rd party software and start scanning and copying files. Repaired hard drives tend to be unstable, and forcing it them to retrieve data from potential bad sectors may result in another hard drive crash, or even permanent data loss since there is no control over hard drive at all. Software tell the drive what to do, and drive must obey the orders. Industry leading imaging devices such as Acelab’s Data Extractor and Deepspar’s DDI allow recovery technicians to have full algorithmic control of the imaging/cloning procedure. Ability to control things like direction of reading, intensity of reading, error handling, individual head activation and deactivation – will deliver the most amount of salvageable data if operated correctly. Data Extraction – Once we have our target drive with maximum amount of sectors ore required data sections pulled from original drive, only then we can move to saving files. While the above steps may seem simple in writing, the actual implementation of these can take a lot of time, energy, skills, patience and equipment. Many of the tools required to perform just the above three steps are expensive to purchase and maintain. There are constant updates, with changes in the technology every single day. Not only is one required to be able to manage the current methods of various hard drive fix methods, but techs are required to be able to adapt and keep up with daily changes in the repair industry. Ramzes is the author of this article on data recovery. 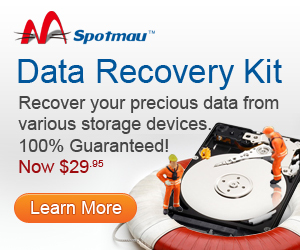 Find more information, about data recovery ottawa here. Use of multi-boot setups, which allow users to have more than one operating system on a single computer. For example, one could install GNU- Linux, Mac OS X, Microsoft Windows or others on different partitions of the same hard disk and have a choice of booting into any compatible operating system at power up . I could not agree more. I run a computer repair business and people expect data recovery to be easy and are surprised when I tell them that it is a specialist area and if they use a data recovery expert the costs can easily run into the 100s and possibly even 1000s considering they tend to work on the amount of data to be recovered.